A result. Every. Single. Day. If we want success, sponsors, public and the rest of the parcel, we need to abolish those draws in classical tournaments. And not by Sofia rules — tournaments with Sofia rules produced as many draws as any other; and not by 30 move rule, where players are often just waiting for move 30. We need something entirely different. Like a tie-break in tennis. We need a result. Every single day. The system Kasimdzhanov proposed was to follow a drawn classical game by a rapid game with colours reversed. If drawn again, a blitz game, repeated until there is a decisive result. Now Norway Chess has proposed a new format with some major differences but a similar aim: To ensure that each pairing produces either a decisive classical game, or a decisive tiebreak game in the event of a draw. The twist is, they will have the tiebreak in one go — as a sudden death blitz game where black has a time disadvantage, but draw odds — commonly known as Armageddon. Magnus Carlsen, who has a virtually automatic invitation to Norway Chess each year and was consulted on the idea, told TV2 in an interview in Rome that he was excited to try out the new format and hopes that his fellow Grandmasters won't be scared off by the novel approach. Love this idea! I imagine Magnus was consulted and must have given it his seal of approval. He is on record as embracing any time control because top players always adjust. Innovative and interesting to say the least. About time!! Why do people keep trying to "fix" chess?? There's nothing wrong!! I think this whole idea is stupid. First a clock-smashing blunderfest, then useless blitz games. I guarantee none of these games will go down as "best" games in any collection. It will be interesting to see more elite players weigh in over the coming days. Maxime Vachier-Lagrave expressed reservations about having two hours for the whole game. "I’m not a fan of the new time control, because it’s so much different from the time controls we have and it requires new adjustments." 10.2 The total score of any game can never exceed the maximum score normally given for that game. Scores given to an individual player must be those normally associated with the game, for example a score of ¾ - ¼ is not allowed. Under the newly proposed system, a classical win nets either player 2 points, and two draws would yield ½ point for the white player and 1½ for the black player (because a draw wins the Armageddon game). If you look at it as two games with the first draw worth a half point and the second a full point, then that would seem to be fine as far as being a score "normally associated with the game". The question then becomes: How does it incentivise decisive classical games (or not) in practice? Vote in our reader poll. This story was updated from its original version to correct the intended meaning of Mr. Vachier-Lagrave. << Hort Stories: "My David Ionovich"
And, by experience, I've noticed that games between players around 2800 and 2600+ GMs give something quite different, and quite interesting, in my opinion: as, for the higher-rated player, a draw is quite a bad result (because 1) he will lose Elo point ; 2) as his co-2800 colleagues will probably win against his 2600+ opponent, it will be quite negative for his tournament's chances), his approach for the game will not be the same as usual: he will avoid as much as he can drawish lines, and try at all costs to maintain the game alive, so as to keep his chances of winning it. I am under the impression that this "anti high draw levels" recipe is nearly "too simple"! (at least for a certain number of organizers of chess tournaments); these organizers are always searching for complicated ideas, while this idea (which works quite well in all the tournaments that use it) is so simple that, frequently, they don't even think of using it!! All in classical time control, as suggested by the above persons. Great idea! Higher rated players would not want to draw because their rating would be quite threatened. The +-2600 could be satisfied with a draw but, playing for a draw against a significantly higher rated player can explode in your face. And +-2600 are good players - still quality chess. And we would still have a real, classical chess game. Also, the professionals between 2600 and 2700 deserve a chance to be exposed. Don't like it. Leave chess alone! The game is fine the way it is. - "How about not inviting the same handful of top players but mixing up the field a bit more?" - "IF the players don't go for a lot of quick draws in the classical games the draw rate will probably be lower, but that will more likely be the result of the KO time control, _not_ the "threat" of the looming Armageddon game." Yes, quite !! This is the illogical side of mixing several recipes: you put a touch of Armageddon here, a spot of KO, you sprinkle the whole with a very short time control (VERY short indeed: below 2 h. of playing time or equivalent, the games couldn't be rated...), at the end, you have a lower draw rate, and hey presto! you say that the Armageddon system is a "miracle system", because the draw rate is lower! But is it lower because of the Armageddon, the KO, or the short time control?? Impossible to say if three measures are taken at the same time!!! How about not inviting the same handful of top players but mixing up the field a bit more? In principle I don't like mixing formats. Blitz and classical are different beasts. Also this format will give the better blitz players an advantage in general and Carlsen the biggest advantage (if we agree that he is the best blitz player). IF the players don't go for a lot of quick draws in the classical games the draw rate will probably be lower, but that will more likely be the result of the KO time control, _not_ the "threat" of the looming Armageddon game. If the Armageddon game is played AFTER the classical game, it is a POSSIBILITY that it will play a part in the result (yes, it will very probably occur in more than 50% of cases, but not 100%), but if it is played BEFORE, it is a CERTAINTY that it will play a part in the result. Instead of having an Armageddon for 6 or 7 games out of 10, it would be 10 games out of 10. "Better would be to have the second game give each player only the amount of time each had on his clock when the first game became a draw." The problem is that, at least without increment as in this tournament, and as more than 50% of the games are drawn in classical time controls, this would more or less mean that the classical time controls' tournaments would be essentially decided in mad time scrambles. And, if I want to watch mad time scrambles, I watch friends playing bullet games, but certainly not a top-level tournament with a classical time control!! Better would be to have the second game give each player only the amount of time each had on his clock when the first game became a draw. The Armageddon games are relevant only for allocating prize money, something the fans do not care about. In my opinion, Raymond Labelle is really completely spot-on when he writes: "Given that this system does not modify the rate of draws in classical or could even increase it, and given that at high levels the rate of draws is high (often more than 50%), the result would be that most classical tournaments would end up to be decided by a multitude of Armageddon games!" The absurdity of this system in a nutshell!!! About the 3 - 1 scoring system, this is one of the ideas that have been the most abundantly commentated on this site. There is in particular one point that must be taken into account about this system, and that is that practice (...this system has been used in quite a number of tournament in the past...) hasn't shown convincing results, when using this system: some tournaments with this system had low draw rates, but some others quite high draw rates. "And, clearly, what is absolutely certain, is that the 3 - 1 scoring system isn't at all a guarantee against high draw rates : a high-level tournament, the Chess Masters Final 2016, had a 76.7 % draw rate, and another, the Chess Masters Final 2015, had an even higher draw rate, 83.3 %. So it is perfectly possible to implement the 3 - 1 scoring system in a high-level tournament and to obtain a quite high draw rate (for a comparison, the last London Chess Classic, that was at a time much criticized for its high draw rate, had a 77.8 % draw rate, significantly lower than the Chess Masters Final 2015's 83.3 % draw rate, and quite comparable to the Chess Masters Final 2016's 76.7 % draw rate)." Draws are agreed in the case of "real draws" - players played as well as they could for a win but ended in a position where neither of them could make any progress. Or draws are agreed because the players do not want to risk losing the game - but even in this case, this most of the time happens when the position is equal, even though it may happen while the game is still alive. The fact that you are going to play a tiebreak after the classical game has no bearing on the risk of losing the classical game and should thus have no bearing on the proportion of draws in classical games. However, if you are better at faster time controls, you will have an incentive to have a draw (but your opponent will have an incentive not to for the same reason). If both players need a rest and do not want to have a long fight in a classical game, they can quickly draw to go on Armageddon. Given that this system does not modify the rate of draws in classical or could even increase it, and given that at high levels the rate of draws is high (often more than 50%), the result would be that most classical tournaments would end up to be decided by a multitude of Armageddon games! Note also that the higher the level, the higher the probability of a draw - if both players play perfectly and make no mistake, it should be a draw. Such perfection would be destroyed by clock-banging errorgenous Armageddon. I disagree with the concept. Draws are interesting in many cases and decisive games are not so interesting in many cases. since win main game,lose blitz game is 2.5 points, and win main game, lose main game is only 2 points, I can imagine some potential weird conspiracy behavior going on here..... Also, this setup spells the death of really good endgames. Andy Soltis points out that already, many foolhardy top players spend loads of time on opening decisions which are at best philosophical decisions with no right answer, and leave no time for endgames where most often there is a single correct solution. This proposed format will finally nail the already-half closed endgame coffin shut. This format will be the end of well-played endgames for sure. 1. it wouldn't lead to more decisive classical games. The classical games would still be just as drawn. It would simply turn the competition into a mixed classical/blitz one. 2. Probably it would lead if anything to more classical draws. Whichever player is better in blitz has every incentive to direct the classical game into drawing lines. 3. The Armageddon results would dominate the competition. Most of the classical games would be drawn, whereas none of the Armageddon games would be, so the tournament would be decided on Armageddon games. Why not just have a Blitz tournament, if a Blitz tournament is what you want? 4. There is a logical incompatibility between having high-standard games, and having a majority of them decisive. If both players play very well, a draw is the most likely result. This is particularly so given modern advances in opening theory. If you want more decisive results, you will have to change the parameters to make it more difficult for players to play well. But is less good games really what we want? My alternative suggestion is that used in many football competitions, whereby 3 points are given for a win and 1 for a draw. This would be useless in a world championship or other 2-person match, obviously, but in almost all other situations both players would be reasonably well incentivized to play for a wln. I think that's as much as you can expect for any solution that does not adversely affect the quality of the games played. In a knock-out system (like tennis or the World Cup) you need a winner for each game. In a round robin (like in ligue football) you do not and draws are acceptable results. I think the new time control (2h FOR THE WHOLE GAME) is the worse part of the new system because it will introduce time trouble in almost every endgame and might even incentivise players to flag their opponents in dead-drawn positions. Welcome to the blunder festival! SERIOUS chess is CLASSICAL with the simple solution of MONEY being a precise and sure decider always. Just make the difference substantial and considerably worthwhile. Ask Mr Carlsen if his TITLE means anything to him also? Pays the rent, right? Armageddon is fully arbitrary and unjust. A piece of fantasy BS. It might be used in cafes for fun, but not in any official chess game. I think it's time that leading players like Carlsen and Caruana take the initiative and stop this Armageddon nonsense forever. It's obvious that organizers aren't capable or willing to do so. Carlsen alone, is bigger than these guys (even Fide), and has the power to change things in positive way. It's ok for Armageddon, but the rating for classical games are based on draws not on blitz. But if they apply it ..the atmosphere of chess scoring system become very confusing and less attractive. To make applicable and easy to understand . The play -off should be done after the tournament of classical games are finished..The scores and live rating adjustments should not be merge in play-offs. The only thing to be changed is the ranking /standing for the prizes. "The players that have games that end with a draw will continue in an Armageddon play-off only a few minutes after their game. The player with the white pieces will continue with white in the Armageddon game." So, the Armageddon game is a continuation of the drawn classical game? They start play from the drawn position? That doesn't make any sense. If the drawn game, for example, is, say a Philidor's position, what's the point of playing from that position. Perhaps the author meant the player with the white pieces in the classical game will have white in the Armageddon game. +I wish we could be rid of this stupid Armageddon system once and for all. It's the pits. I could imagine controversy if the overall point winner is is markedly behind another player or players if one considers the classical games alone, but nobody can say this is structurally unfair. Worth a shot, and I suspect even the critics will make a special effort to check this out. It appears I'm in the minority here, but I think this is an interesting idea and will likely result in an interesting and exciting tournament. I would even say that this is an improvement over the Sofia scoring system, which artificially incentives players to avoid draws at all costs by essentially penalizing both players if a draw is the result. @BeFreeBusy - I disagree with the idea that mixing different time controls in one tournament is inherently negative. In fact, I view this as a huge positive: The winner of the tournament will have demonstrated superior skills in a wide range of chess disciplines! What a stupid idea, but this was to be expected. Simply: the whole thing is one big category mistake. It mixes classical chess with blitz. Tournament winner doesn`t have to play the best in classical chess, but can go for wins only with white and armageddon. I predict there will be more draws because players are encouraged to draw the games with black. One step forward, two steps back. Haha. The idea is interesting - even very interesting - but it doesn't adequately allow for genuinely dead drawn positions such as stalemate or simple endings that are a theoretical and easily demonstrable draw. In these situations my opinion is that the points should be split evenly. The Progressives who want to change the game need to first do some research to prove that draws aren't as exciting as decisive games. I do not think Rustam is correct about draws being less exciting. Let's not reinvent the game based on a faulty premise. Personally, I think the entertainment value depends on the game and the background of the players and not on the result. The answer is always money. Just pay a nice bonus for every game with a winner. Forget all this Blitz, armageddon...that's just fun chess--not serious chess. Most people that commented below get the point. Players will just draw to get to the Blitz. Even 2 hours for the entire game is not good.That will revert to a mad scramble with pieces flying around also, the better blitz player will get play safeely for a draw to get to the blitz. The general public that doesn't want to take the time to follow serious classical chess will get bored very fast with Blitz and super fast tome comtrols because they won't be able to follow the game at all with the invreased speed and will get bored. Even serious players have a hard enough time following blitz. And what do you get when following a tournament live. You can only follow one game at a time--what do you with all the games taking place at the same time? So back to my premise, just pay more for wins!! MONEY...you can even adjust it by paying more for black wins, or more for the lower rated player if he wins. Even lower the prize for 1st, 2nd., 3rd., etc as the winner should win more games and thus his prize money should be the most given out anyway. Also prizes for best game, etc. Most beautiful game, etc. Maybe even the loser should get a percentage of the most beautiful game prize. @ Maatalkko: Yes, quite. It was precisely a direct elimination system resembling very much to the World Cup (the main difference being that they were four classical games and, as a first tiebreaker, four rapid games instead of two classical games and two rapid games at the World Cup). And the strangest of strange things was that Carlsen opted out of this cycle partly because of this system... which system (in its "World Cup form") he advocated, several years after this, as the best system for the whole World Championship! And it is true that this system bears a certain resemblance with this new "Norway Chess" system: both systems "cannot accept" draws between two players, and, at the end, finish by an Armageddon game (directly after each classical game, for the "Norway Chess" system, and after Rapid and Blitz tiebreakers, for the Candidates 2011 system). I think it's fine, maybe the only thing that would change is that I would award one point to the winner of the tiebreaker and 0.5 points to the loser. Does anyone remember the 2011 Candidates, when Grischuk almost qualified without even attempting to win any classical or rapid games? @ RayLopez: I quite approve your post. And I also quite approve GrayRazorback's article on this subject (https://en.chessbase.com/post/what-s-the-matter-with-draws). Next time, will they try Rock-Paper-Scissors as a "tiebreaker" ??? There's nothing wrong with draws. 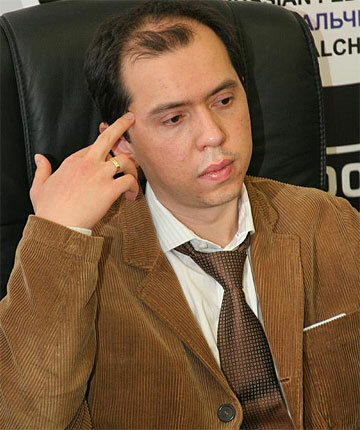 This premise stated by GM Rustam Kasimdzhanov is wrong: "If we want success, sponsors, public and the rest of the parcel, we need to abolish those draws in classical tournaments". Draws are beautiful. In fact there's a whole book, published by NIC, that celebrates the original "draw master", GM Ulf Andersson. When I, a club player, draw a master, I consider it a masterpiece. GrayRazorback below is right, the article cited is right, draws are OK. Do we need to lower standards so some Class D or E patzers can howl with delight when a master blunders a piece going for a bogus win in a drawn position? Is that what the Royal Game has become? Not enough details in this article to understand what is the proposal. What is the time control for the armageddon game? Also, not conforming to FIDE rules is not a problem, just don't FIDE rate the tournament. Has GM Aagaard's statement been verified? Kasimdzhanov's idea is more worthy. Also the 3-1 scoring system also incentives going for the win. This rule is likely to result in a lot of tournament results ending in clock-banging spectacles. Ajeeb007 puts it well.